XR is a double acting X-ring with special design lip to be used both for rod and piston applications. Hydraulic and pneumatic valves , light duty cylinders , flanges and heavy duty applications. A-ring is assembled into the groove by hand. It is very important that the assembly tools must be of soft material and have no sharp edges. 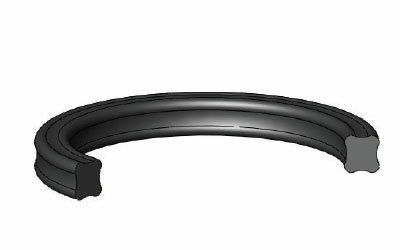 Before installation the wiper must be oiled with system oil.